After 17 games, it almost looks like the title race could be going on between just two teams- Liverpool and Manchester City. Manchester City went back on the top of the table (until United played Liverpool) after they beat Everton 3-1 at the Etihad quite easily. City recovered from their 2-0 loss at Stamford Bridge and played their usual free-flowing attacking football which was difficult for Marco Silva's men to handle. Gabriel Jesus struck twice, both goals coming off of Leroy Sane's pass. Dominic Calvert-Lewin scored from the header against the run of play to give Everton hope. But substitue Raheem Sterling scored another one past Jordan Pickford to give Manchester City a comfortable victory over The Toffees. Meanwhile in the West Midlands, Wolverhampton cruised past Bournemouth comfortably with a 2-0 victory over the Cherries. 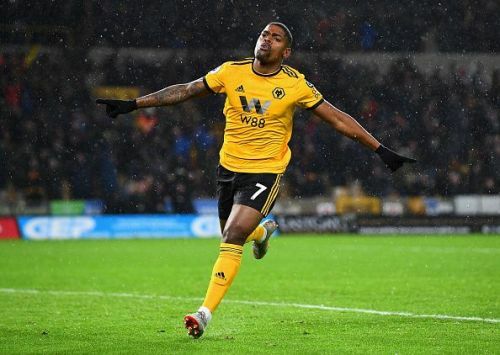 Raul Jimenez scored in the 12th minute and Ivan Cavaleiro scored late in the 4th minute of stoppage time to seal the game for Wolves. Nuno Espírito Santo's men have now won 3 in a row and the Wolves are sitting comfortably in 7th place just 1 point behind Manchester United. While Bournemouth slipped to 11th position. Crystal Palace played without Wilfred Zaha and still managed to scrape a hard fought victory at Selhurst Park thanks to the one goal scored by Palace's captain Luka Milivojevic. The Serbian scored a superb goal from distance past Kasper Schmeichel. Roy Hodgson's side had lost in their 2 previous games against West Ham and Brighton and were desperate for a win and they got all the 3 points they truly deserved. Palace are still struggling to get in the top half of the table and are currently 15th with just 15 points. 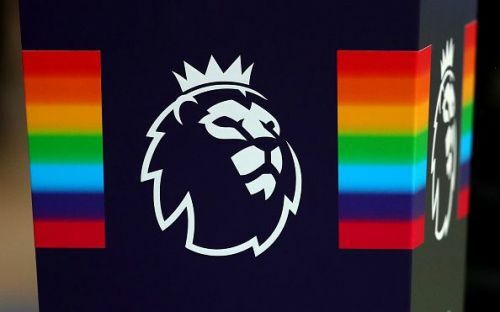 Solomon Rondon has not had good memories in the Premier League when he played for West Brom. He rarely scored a goal and that is not a good sign when you play as a striker. Eventually he got relegated with West Brom last year. He joined Newcastle on a year long loan in August and looks to be a completely new player under Rafa Benitez. The Venezuelan scored the only goal in the Magpies' win over Huddersfield town. Rondon struck past Lossl in the 55th minute in John Smith's Stadium. The November Manager of the Month winner Rafa Benitez tactically outclassed David Wagner as Huddersfield failed to score a single goal despite having 74% possesion. 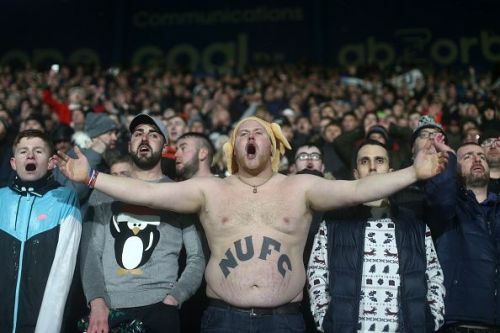 Newcastle are currently 14th in the table 4 points off of the relegation zone while Huddersfield are in the relegation zone with just 10 points. Burnley almost got a point against Tottenham at Wembley as we all thought the game would end as a 0-0 stalemate but Christian Eriksen fired a late goal past Joe Hart in stoppage time to steal all 3 points. Burnley's defence looked stubborn as they were successful in nullifying the likes of Harry Kane, Lucas Moura and Dele Alli. Eriksen came on as a substitute in the 65th minute and turned out to be a super sub. Despite the win, Tottenham are still 3rd with 5 points behind 2nd placed Manchester City. Javi Garcia's Watford survived a scare from Cardiff after they won 3-2 at the Vircarage road. Gerard Deulofeu scored an amazing solo goal in the first half inside 20 minutes to give Watford the lead. Jose Holebas and Dominigos Quina scored in the 2nd half to give Watford a comfortable 3-0 lead. But Cardiff scored 2 goals in quick succession in the 80th and 82nd minute thanks to Junior Hoilett and Bobby Reid, to put pressure on Watford. But Watford managed to win despite Cardiff's attempts of equalizing. 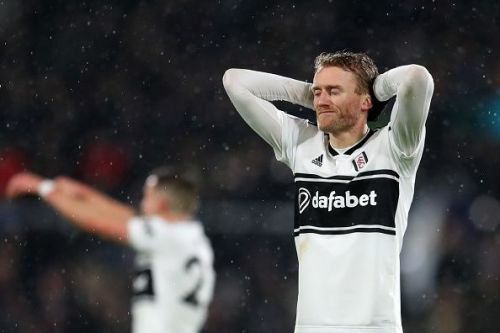 Fulham could be heading back to the Chamionship next season after losing yet another game. This time they lost 2-0 against West Ham. Robert Snodgrass and Michail Antonio scored comfortably past the worst defence in the PL. At the start of the season, people and even TV pundits expected Fulham to finish in the top half of the table after an incredible business in the transfer window. But Fulham look in a bit of a crisis even after sacking Slavisa Jokanovic and bringing in the tinkerman Claudio Ranieri. Fulham are at the bottom of the table with just 9 points and a goal difference of whopping -26. Arsenal's unbeaten run finally came to an end at St. Mary's Stadium. Saints' new boss Ralph Hasenhüttl got his 1st win over the Gunners. Liverpool loanee Danny Ings' 2 goals were neutralized by Henrikh Mkhitaryan. But substitue Charlie Austin's 85th minute goal sealed the victory for Southampton. The 3 points were crucial for Southampton as they are now out of the relgation zone above Burnley only on goal difference. Brighton fought hard at the Amex stadium but lost against Chelsea. Man in form Eden Hazard was yet again involved in both the goals as Chelsea narrowly won 2-1. Hazard is now directly involved in 17 goals, more than any player in the PL, with 8 goals and 9 assists. Solly March scored his 2nd ever PL goal in the 66th minute to give Brighton hope. But Chelsea managed to hold onto their 1- goal lead as Eden Hazard left the pitch limping in the 83rd minute. Chelsea remain 4th with 2 points behind Tottenham and 8 points behind the leaders Liverpool. Liverpool vs Manchester Utd. One of the best rivalries in the world. Liverpool were expected to win this considering their recent form. Man United played defensively as expected. The Merseysiders managed to break the deadlock in the 24th minute courtesy of Fabinho's wonderful pass and Mane's equally spectacular goal. Man United surprisingly equalized in the 33rd minute after Alisson's blunder. Alisson failed to hold the ball in his hand and Jesse Lingard was quick to react and fire it into the net to shock Anfield. Liverpool kept trying to score but were held by the Red Devils. Xherdan Shaqiri replaced Naby Keita in he 70th minute and made an instant impact scoring in the 73rd minute. 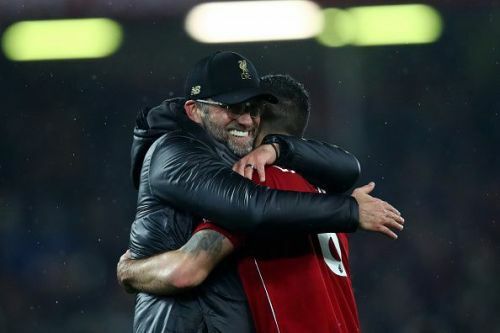 Shaqiri struck once again in the 80th minute to assure all the 3 points to Liverpool. One stat in particular showed how dominant Liverpool were in the game. They had 36 attempts on goal. This was the most by any team in the history of the Premier League! Liverpool are now leading in the PL table 1 point ahead of Champions Man City and 19 points ahead of Man United.